Remember when I shared how much I want to take a river cruise? Sadly that wasn't a contest I won, so here I am with a European river cruise still on my travel wish list. 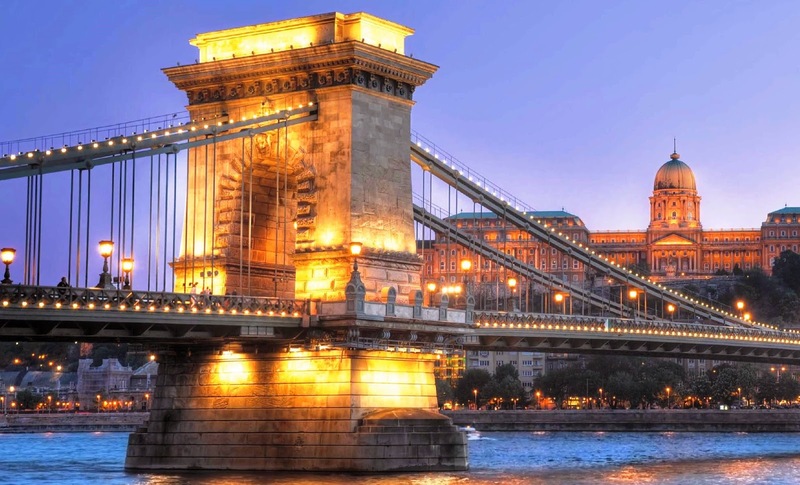 Lo and behold, Johnny Jet is running another blogger contest, this time with Emerald Waterways, and the prize is an eight-day European river cruise for two. I might be a glutton for punishment, but here I go again in hopes I will finally be able to take that European river cruise of my dreams. While a river cruise isn't our typical travel style, as we usually like to thoroughly explore one country, I think it would be a nice change to country hop for once, but with the ease of not having to pack, unpack, and catch a flight or train every time we move. After all, Travel the World is a travel blog for the everyday working stiff, and sometimes the everyday working stiff wants to take a river cruise, and I want to be able to share that experience with you. Plus, we could tack on a few days at the beginning or end of the cruise to explore one of the countries even more. The prize is Emerald Waterways’ Danube Delights river cruise, which cruises the Danube from Nuremberg to Budapest. Another reason why I want to win this river cruise? It visits four countries to which I have never traveled before! Emerald Waterways’ Danube Delights river cruise starts in Germany, departing from Nuremberg. Day two is spent in Regensburg, one of the best preserved medieval cities in Germany. I would love to explore this town of peaked red roofs atop colorful buildings and visit the Regensburg Cathedral. A visit can also be made to Weltenburg Abbey, the oldest monastery in Bavaria and home to what might be the oldest monastery brewery in the world. Since I also co-write the travel/alcohol blog Passports & Cocktails, I would have to taste the monastery’s beer, including their Weltenburger Kloster Barock Dunkel, three-time winner of the World Beer Cup. Day three can either be spent in Germany, Austria, or the Czech Republic. I would have a hard time choosing, but I think I would choose a full day in Salzburg, a UNESCO World Heritage Site, and visit every Sound of Music site I could find. You may remember another contest I didn't win, this one for a trip to Austria. I have wanted to go to Austria for years and it just hasn't happened yet. Cruising with Emerald Waterways would finally give me that chance. Day four starts in Austria’s wine growing region in Melk where we would explore the elaborate Melk Abbey and hopefully sample some Austrian wine. We would also visit Dürnstein, where King Richard the Lionheart was held captive. Day five would be spent exploring Vienna, a city full of castles, palaces and music. Day six finds cruisers in another country, this time Slovakia, in the town of Bratislava. Here there are some more serious sites, including the Holocaust Memorial, the Museum of Jewish Culture, and the Slavin War Memorial. Day seven begins in the fourth and last country of the European river cruise, Hungary. The day is spent in Budapest where multiple UNESCO World Heritage Sites can be visited as well as Budapest’s iconic Chain Bridge. Obviously there are a few companies from which to choose offering European river cruises. Emerald Waterways is the newest European river cruise line on the market with a brand new fleet of custom-built ships with some new innovations, like a heated swimming pool with retractable roof and suites with indoor balconies with floor-to-ceiling windows that can be opened and closed. Emerald Waterways’ cruises include meals, excursions, transfers, and tips in the quoted price, so there are no surprises. I can just picture us sitting on our indoor balcony, sipping cocktails, and watching Europe float by. So cross your fingers that I finally win one of these contests and have two dreams come true, taking a European river cruise and traveling to Austria for the first time. Have you ever taken a European river cruise? What was or what do you think would be the best part about taking a river cruise?